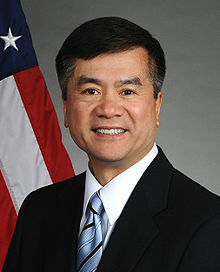 Yesterday, the United States Senate confirmed Gary Locke as the new U.S. Ambassador to China. He was approved unanimously without a vote. The outcome was never in question, but his nomination had been delayed for weeks. Ambassador Locke has a very big job ahead of him, with a full range of economic and security matters. How will he fare in his promotion of human rights, as my blog asked when he was nominated in March. “I will clearly and firmly advocate for upholding universal rights in China,” Locke said at his confirmation hearing in May. We will be watching to see how vigorously he upholds this promise. The United States and China currently have six diplomatic posts in the other’s country. Future post openings are subject to host government agreement, per the Vienna Convention on Consular Relations and our bilateral agreement with China. The Department sent diplomatic notes in 2008, expressing reciprocal interest in expanding U.S. diplomatic presence in China, with Lhasa at the top of the U.S. list. To date, the Chinese have not responded. The Department remains committed to pursuing a post in Lhasa as a priority, and if confirmed I will continue to work on this objective. Travel to the Tibet Autonomous Region is restricted by the Chinese government, and our official visits are approved on a case-by-case basis and then only rarely. Although then – Ambassador Huntsman was allowed to travel there in September 2010, many other requests have been denied. Visits to Tibetan areas of Sichuan are often denied on the ground by local police although the area is open in principle. This is a serious problem that I will seek to address. The U.S. government has long pressed for free and full access to the Tibet Autonomous Region for American diplomats and also for members of Congress and foreign journalists. If confirmed, I will continue to raise this issue at high levels. Originally published at: http://weblog.savetibet.org/2011/07/28/gary-locke-the-new-us-ambassador-to-china/ Reprinted in TPR with permission.